The Washington Post reported in April that federal workers compensation costs have roughly doubled since 1995, with 8.8 million Americans receiving disability benefits to the tune of $260 billion per year. Over a quarter $ trillion annually - that's a trully staggering figure. The Post went on to claim that much of the increase may be due to the changing demographics of an aging population. Whether you buy that explanation or not, many employers fear that some employees are cheating on workers compensation insurance and staying away from work longer than legitimately needed. Workers Comp 101: How Much Should You Trust Your Employees? Let's face it, as with almost everything in life, things are seldom black and white. Seemingly good and honest employees sometimes do dishonest things when they feel threatened or insecure. Workers compensation can be an area where a good employee is tempted to stretch the limits of a workers compensation insurance package if your internal company policies are not balanced in such a way as to help keep the system honest and balanced. 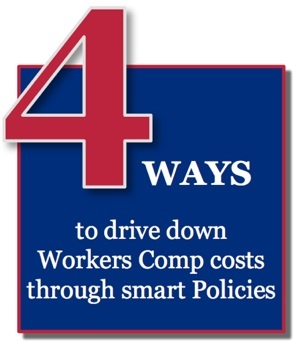 Incentives and Disincentives to Return to Work: How Do Your Workers Comp Policies Stack Up? Many view our national unemployment policies as lacking the common sense checks and balances required to filter out waste and abuse. Fair enough, but have you analyzed your own policies by the same yardstick? A well-balanced set of policies is one that properly provides for the needs of employees during a disability while also achieving the checks and balances that keep the system honest by removing disincentives to return to work, and removing incentives to stay out longer than legitimately needed. And that insurance principle applies as much for a small business as for a larger one. How long will you hold a job open while an employee is out on disability? Is there a defined limit? Obviously a reasonable but limited time period should be the goal. In today's job market, fewer are willing to gamble with finding a new job should they exceed the period that their current position will be kept open for them. 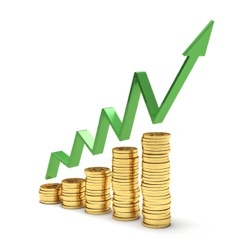 What percentage of an employee's salary is collected during a workers compensation event? If your policies are too generous then the incentive to stay off longer increases. Do you allow benefits to accrue while an employee is away from work? For example, will sick time and vacation time continue to accrue? If so, should the policy be changed? What about high-end benefits? If you offer special benefits such as a company car or other benefits directly related performing on the job, then consider placing them on hold until the employee returns to work. A Workers Compensation Lesson from Ronald Reagan? Regardless of your politics, President Ronald Reagan had a principle that served the US well in dealing with foreign policy, and one that President Barack Obama recently quoted: trust but verify. Yes, we would like to trust all employees to do the right thing when it comes to workers compensation insurance benefits. However, given that things are rarely black and white when it comes to human behavior, it is wise to craft your company polices in such a way as to verify that your hard-earned dollars spent on workers compensation costs are being wisely used and not wasted. 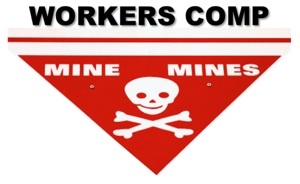 Need Help with Workers Compensation Insurance? We're here to help. We're an independent insurance agency with the resources to find the right workers comp insurance to meet your needs and budget. Click to contact us today to learn more, or call us at (800) 947-1270 or (610) 775-3848. 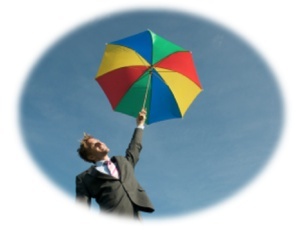 Having the proper business insurance can be vital to growing your company and protecting your future. While every business varies in terms of exposure to risk and the related cost of coverage, knowing the 5 key cost drivers can help you reduce your insurance costs, whether you are in a mid-sized city like Reading or Allentown, a smaller city like York or Lancaster, or a large city like Philadelphia, especially if you consider costs before launching your business. In the end, the cost of business insurance is driven by risk levels as perceived by your insurance carrier, and increases due to higher levels of risk. Regardless of the precise details associated with your business, your costs will be affected by some factors that statistically are related to your company type, company location, and other factors. It goes almost without saying that the cost of your business insurance coverage depends largely on the amount of coverage you desire. 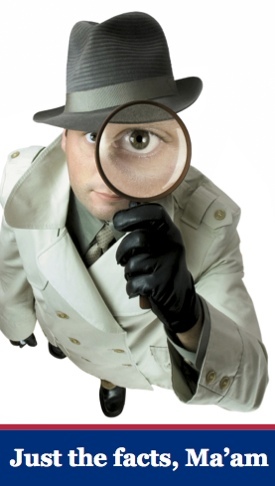 It is wise to get the advice of a trusted independent insurance agent before finalizing your coverage level. In some cases you may be able to reduce coverage in a policy if the coverage overlaps with protection already provided in another policy. Insurance costs may vary widely by state and by city. Businesses located in high-risk areas will pay higher rates. Risk assessments are affected not only by crime rates, but by the likelihood of incurring damage due to storms and other natural disasters. Check with your insurance agent regarding insurance costs prior to relocating your business or purchasing a new property. A business in an industry known for high losses will incur higher insurance costs, all else being equal. Industries known for physical risk and high worker's compensation losses will incur higher commercial insurance costs. Expect considerable swings in insurance rates based on the percentage of your employees working in an office setting vs. a construction or other setting known for physical risk. 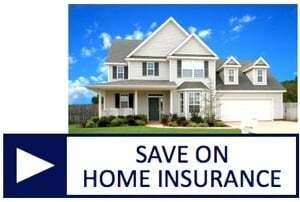 As with auto insurance and homeowners insurance, businesses also incur higher rates as the frequency of their claims increases. Consider potential cost increases that may result from filing a claim vs. covering the cost out of pocket without filing a claim, especially when you are considering changing insurance carriers. Although adding optional coverage increases your total insurance bill, optional coverage may be to your benefit. Consider business interruption insurance and key person insurance for executives and others who cannot be easily replaced, and whose absence is likely to cause a slowdown in business. Knowing the key drivers of business insurance costs and planning accordingly can help you navigate your insurance coverage options, and help you achieve the right level of coverage at the right price. Ask your independent insurance agent for assistance in understanding your options and the impact on cost. 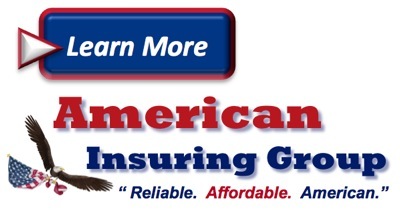 American Insuring Group is an independent insurance agency located near Reading, PA, in Berks County. 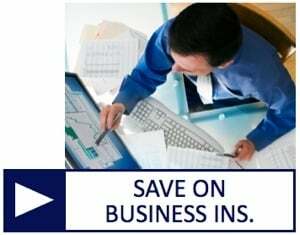 We can help you get the right business insurance coverage for your business at the best price by researching the most affordable insurance costs from our many competing insurance carriers. Contact us today at 800-947-1270 and request a no-obligation, no-cost consultation, or fill out the form on our Contact Us page to get started. Is Business Insurance Too Complicated? Business insurance: mention the topic and count down the seconds until yawns form and eyes glass over. For some, commercial insurance is just slightly more interesting than reading the phone book or memorizing the periodic table of elements. Perhaps that’s because business insurance seems complicated, or because we suspect we’ll never really need it. Talking about what might occur, such as a catastrophe requiring financial assistance, rather than what is likely to occur (business as usual), can seem so abstract, such a waste of time. Ah, but think of it this way: wouldn’t it be great to have the peace of mind of knowing that you are financially covered against many of the uncertainties life can throw at you? Isn’t that better than the nagging feeling that you may be unprotected against some unknown liability for which you failed to get the needed business insurance protection? Get all three, and in no time you’ll be covered with the right business insurance protection. Whether your business is in Reading, PA, Berks County, Philadelphia, Lancaster, Allentown, or beyond, every business owner who meets those 3 simple criteria sleep better at night. While we can’t cover everything you need to know in this short post, we can get you started by presenting 14 key commercial insurance terms, each with a brief definition, in alphabetical order. Read over them and then jot down some follow up questions for your independent insurance agent. Once you have solidified your knowledge, decisiveness will follow. Take action for the good of your business, your employees, and your family. There you have it. 14 simple business insurance terms that probably have you wondering what coverage you are missing, and ready to contact your independent insurance agent. Do that, and then get ready to be decisive. You’re almost there. Need help in figuring out the right commercial insurance protection for your Reading PA, Berks County, Philadelphia, Allentown, or Lancaster County business? Call us today at (800) 947-1270 for a free consultation, or click to contact us. When looking for commercial vehicle or van insurance in small to large towns from Reading to Philadelphia and beyond, there are a few points to consider, and some tend to get lost in a potential insurance minefield – here are a few frequently asked questions many ask when searching for the right insurance for their small business. 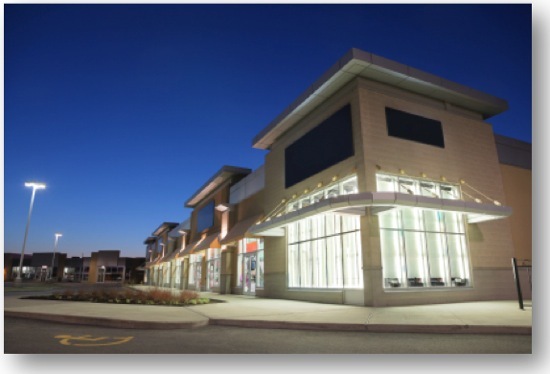 Is it hard to insure a vehicle for commercial use? Not really. Anyone can apply to insure a commercial vehicle, (for example, a van), but they will find they are restricted when it comes to personal or private use of that vehicle. As long as the vehicle falls under commercial use, like delivering goods or providing a service (say, if the owner is a builder just using the van to get from A to B) then it is much easier to obtain insurance than if the applicant also wanted the vehicle for private use. Goods-carrying vehicles: this is the most common type of commercial vehicle, used to transport products or necessary items for services. This can range from small cars and vans to larger trucks. Passenger-carrying vehicles: this applies to buses, coaches, and hire cars. Special construction vehicles: vehicles that serve a particular purpose are known as ‘special types’ of vehicle and apply to ambulances, fork-lift trucks, and cranes. Windshield coverage usually comes down to the insurance company and the level of coverage taken out, but this type of coverage is typically available for commercial vehicles as a policy extra, under "Comprehensive" coverage. How can I lower my van insurance premium? Usage - how the vehicle is used can lower your insurance premiums. If you park the van at one jobsite for the day will be a lower cost than if you travel to mutiple locations during the day. Safe drive Badge – a simple sticker on the back saying ‘How’s my driving?’ with a number on the back (preferably to the insurance company) will also reduce premiums. This is because anyone driving dangerously will obviously be reported by other drivers, hypothetically making the driver in question more cautious about their driving. Driving Convictions – this is a simple one; don’t acquire any speeding convictions. Insurance companies tend to ramp up the premiums for people who have previous driving convictions. We will be glad to address any further questions you may have. 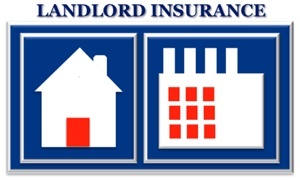 Please contact us, or request a free, no-hassle insurance quote today. We compare prices from several competing, highly reputable insurance providers to make sure you get the right policy at the best price. 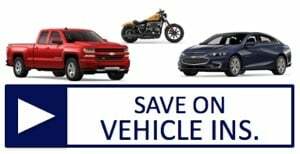 Whether you are in Philadelphia, Reading, Lancaster, Allentown, Harrisburg, or beyond, we'll find the best value in commercial vehicle insurance for your van, car, or truck. Simply call or click today to get started. Purchasing workers compensation insurance can be a potential minefield for some businesses, who often don’t know where to start and can feel like they’re going in blind without a workers comp specialist to guide them along the way. It can seem like a daunting, upward struggle, especially since some insurance companies and agents won’t even consider writing workers compensation insurance – and they have their reasons - but with the right insurance broker, applicants can get through the process scratch-free. It’s also important to note that purchasing workers compensation insurance from a business insurance agency with several markets available, is the best way forward for business owners looking for this type of insurance. At American Insuring Group LTD, we represent a number of A rated insurance companies that specialize in Workers Compensation insurance. The most important thing for business owners to remember is to never let their workers compensation insurance lapse, as that could lead to disastrous results. Although financial issues may seem dire, it’s likely clients will pay the price if they let their workers comp lapse, in the form of considerably higher premiums on re-application. The other obvious advice is to always pay premiums on time, as late payments could cause standard carriers to write off a client with a non-renewal notice – almost as bad as a lapse in coverage. If workers compensation insurance is allowed to expire and business owners go through the re-application process, they should be aware it’s not going to be easy – they’ll likely be bombarded with seemingly endless documentation in order to explain the expiration in the first place. Anyone finding themselves in this situation would be wise to save their sanity and consult an insurance broker or expert to help get them through the paper trial and advise them on the situation. Claims can also be an issue. If a business has filed numerous claims with an insurance broker, then they are likely to get issued with higher premiums; that’s just the way insurance, as a whole, works. When applying (or re-applying) for workers compensation insurance, business owners should work closely with an insurance broker. Ask questions, and be sure to find a broker who instils confidence. 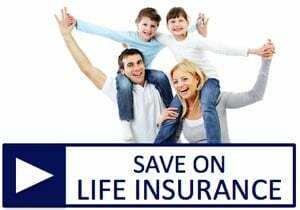 One last thing to bear in mind is the fact that all workers comp quotes are custom, with no ‘big rate books’ like the ones life insurance agents are familiar with. Have additional questions about workers compensation insurance? Contact us, or request a free, no-obligation workers compensation insurance quote. We'll compare policies and prices from competing carriers to make sure you get the right coverage at the right price. Is Affordable Care Affordable, or an Incentive to Raise Health Insurance Premiums? A section of The Affordable Care Act requires health insurance providers to spend at least 80 percent of dollars they receive from premiums on patient care, or be forced to send a rebate to patients. This may seem like a good deal for patients, but health economists say the provision can only lead to more expensive insurance. Economists reason that the provision merely provides an incentive to raise premiums, instead of encouraging companies to control costs. While patients may be thrilled to receive a rebate in the mail, this rebate will be a small consolation for the inflated premiums patients will have to pay as insurers let spending balloon. According to Peter Suderman's Hit and Run blogpost "ObamaCare's Health Insurance Rebates May Make Insurance More Expensive," insurers rebated slightly over $1 billion this year, at an average of $151 per customer, in letters that clearly stated the rebates were coming as a result of reforms made under the Obama administration. This politically sound move lets patients know exactly where their rebates are coming from. What it doesn't tell them is that the rebates might cause premiums to rise. "It's easier to cover someone's health costs on 80 percent of $1,000 than it is on 80 percent of $100," Suderman writes, "and because insurer profits and other administrative costs must come from the remaining 20 percent, there's a larger pool from which to draw profits and business expenses." In other words, insurers will be motivated to raise their premiums in an attempt to cover expenses. NPR's Planet Money reported on the likely outcomes of the insurance rebates provision. Reporter David Kestenbaum interviewed six health economists. "No one thought the provision would do much good," he said, "and several thought it could be harmful." Among the economists interviewed by Kestenbaum was Jonathan Gruber, an ObamaCare architect and supporter. The press has widely lauded the health insurance rebates. ABC News reported that the law is "aimed at holding health insurance companies accountable for how they spend the money collected through premiums." CBS and USA Today ran similar stories, equally positive about the program that would force insurance companies to spend more on patient care or send out rebates. None of the articles mentioned that premiums would likely rise as a result of the provision. NPR's Planet Money was the first news platform to explore the potential pitfalls of the rebate program, and stumbled on a major flaw: more money spent on patient care will logically result in higher premiums. 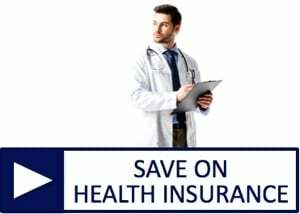 Need help in acquiring a sensible health insurance plan for yourself, your family, or your employees? 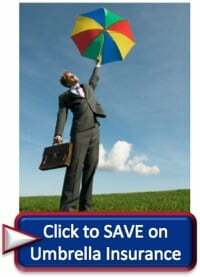 Click below to learn more about your health insurance policy options.